Recovery is an integral part of every athlete’s training, whether it’s recovery from an injury or recovery between workouts. This is why our Chiropractors in Portland Maine use Game Ready to aid in our patients recovery and everyday wellness routines. Immediately after suffering a musculoskeletal injury, the body initiates a series of physiological responses to defend surrounding tissues and begin to repair the damage. This is known as the inflammatory response. While inflammation is a natural and necessary mechanism in this process, controlling it effectively can actually allow the body to enter the later stages of healing faster. Whether you are a surgery patient in post-op rehab or an elite athlete with a sports injury, you want to get back into action as quickly as possible. You want to proactively accelerate your recovery. Mend Health of Maine is dedicated to non-surgical chiropractic management of Sports and Musculoskeletal injuries. 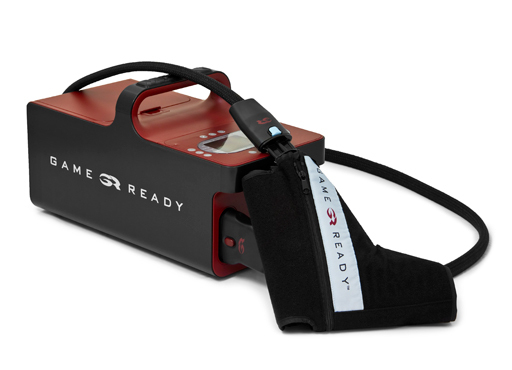 Game Ready’s innovative ACCEL® Technology (Active Compression and Cold Exchange Loop) sets a new standard in injury and post-op treatment, integrating active pneumatic compression and cold therapies in one revolutionary system. The system progressively increases and releases pressure while also rapidly circulating ice water through separate wrap chambers. Until now, the RICE (Rest–Ice–Compression–Elevation) principles have been used only to passively control symptoms, moderating pain and swelling. But Game Ready® does more. Going beyond static cold and compression applications, ACCEL Technology mimics natural muscle contractions while cooling the tissue, helping the body to proactively aid lymphatic function, encourage cellular oxygen supply, and stimulate tissue repair. That is, it helps accelerate and enhance recovery. If you are surgery patient in post-op rehab, an athlete with a sports injury, or just interested in obtaining more information regarding Game Ready’s ACCEL® Technology, please contact Mend Health and Wellness team in Scarborough Maine. Electrical muscle stimulation (EMS) is a treatment method being used to reduce pain, swelling, and recovery time. This increasingly popular treatment at our Portland Maine Chiropractic office works well for soft tissue injuries, muscle spasms, and even for athletes who want quicker recovery from workouts. This treatment is performed here in our Scarborough office, and usually only takes a few minutes. Electrodes are placed on the skin over the affected area, and the machine is turned on. An electrical current is then transmitted into the soft tissue or muscle. The level of current used depends on the injury, its location, and how deep the therapy will be. This electrical current causes the muscles to experience very small but quick contractions. During the treatment, patients may feel a light tapping or tingling sensation; however, these sensations will subside after the treatment protocol is complete. Electronic Muscle Stimulation is widely used in hospitals and sports clinics for the treatment of muscular injuries and for the re-education of paralyzed muscles, to prevent atrophy in affected muscles and improving muscle tone and blood circulation. Electrical muscle stimulation creates tiny contractions in the muscles so they become tired and relax, relieving pain and muscle spasms. In addition, it triggers the release of endorphins, which are our body’s natural pain reliever. The process is also aids in metabolic waste removal so nutrients can be better delivered and soft tissue can heal more quickly. Back muscles and neck muscles are common locations for EMS; however, there are many areas of the body that can experience the benefits of this treatment. 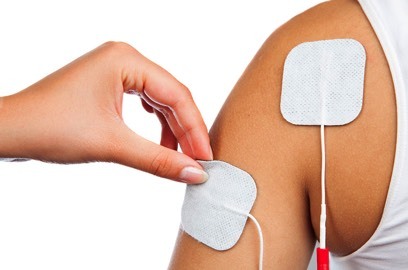 Electrical muscle stimulation works well for both acute and chronic pain. If you have been struggling with pain or have recently suffered an injury, contact one of our Mend Health and Wellness doctors to see if electrical muscle stimulation is right for you. 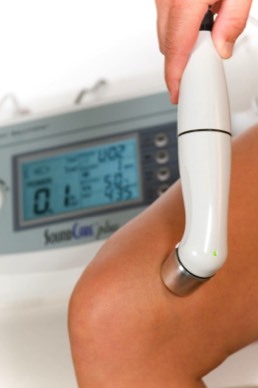 Therapeutic Ultrasound has several uses. There are three primary benefits to ultrasound. The first is the speeding up of the healing process from the increase in blood flow in the treated area. The second is the decrease in pain from the reduction of swelling and edema. The third is the gentle massage of muscles tendons and/ or ligaments in the treated area because no strain is added and any scar tissue is softened. Ultrasound can produce many effects other than just the potential heating effect. It has been shown to cause increases in tissue relaxation, local blood flow, and scar tissue breakdown. The effect of the increase in local blood flow can be used to help reduce local swelling and chronic inflammation, and used in cases where scar tissue breakdown is the goal. Also ultrasound can often be used as a fairly accurate tool for diagnosing minor fractures that may not be obvious on x-ray. Our Southern Maine Chiropractors proudly incorporate Biofreeze products to help break this pain cycle, by relieving pain through a method known as "Gate Control," or "gating." In the gating process, menthol acts to stimulate specific sensory receptors in the skin, thereby blocking other receptors from sending pain signals to the brain. 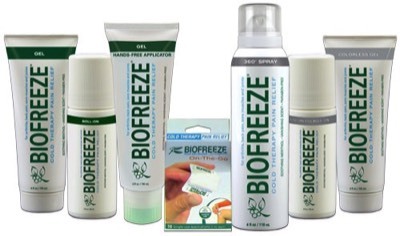 Biofreeze products provide temporary relief from minor aches and pains of sore muscles and joints associated with simple backache, arthritis, bruises, strains and sprains. Biofreeze Pain Reliever may be used up to four times a day - both before exercise or therapy (to relieve painful movement), and afterwards (to soothe muscle or joint soreness). In some cases, Biofreeze products may even be used during exercises or therapy. If you are interested in purchasing Biofreeze directly please visit our office in Scarborough Maine, or contact our Mend Health and wellness team in Southern Maine. 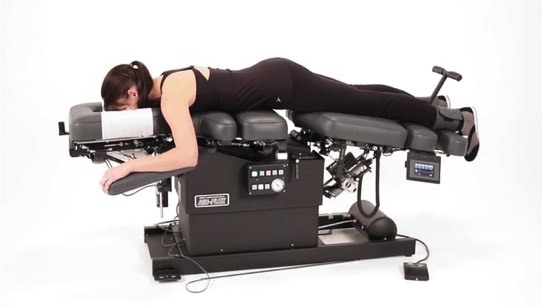 Flexion Distraction involves using a special table that distracts and flexes the spine in an automated and gentle rhythmic motion. The Chiropractic Doctor will use some manual techniques with the table to resolve the disc herniation or bulge. The goal is to allow the spine to move correctly in a manner that will remove pressure from the disc bulge. It does this by creating a negative pressure that pulls the disc bulge back into the spine. The flexion distraction motion also maintains healthy discs through imbibition. The motion allows nutrients into the spinal disc and keeps them well articulated. If you are interested in obtaining more information regarding flexion distraction and low back pain treatments in Portland Maine, please contact our Mend Health and wellness team in Southern Maine.